Kerstin McConnell is the broker-owner of Sea Glass Properties and served as the 2009-2010 president of the St. Thomas Board of Realtors. Born in St. Thomas and a lifelong resident here, her roots in the Virgin Islands go back three generations. Kerstin (pronounced Kas-teen) enjoyed several successful years in real estate before deciding to launch Sea Glass Properties in 2007. Sea Glass Property’s premier location – waterfront at the Caribbean’s largest mega-yacht marina and luxury retail complex – together with Kerstin’s intimate knowledge of the Virgin Islands community has meant rapid growth for Sea Glass Properties from a start-up to one of the most competitive brokerages in the Virgin Islands. 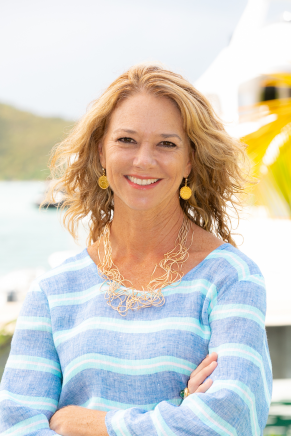 In addition to her work on the St. Thomas Board of Realtors, Kerstin is a board member of the Virgin Islands Territorial Association of Realtors and a member of the National Association of Realtors. 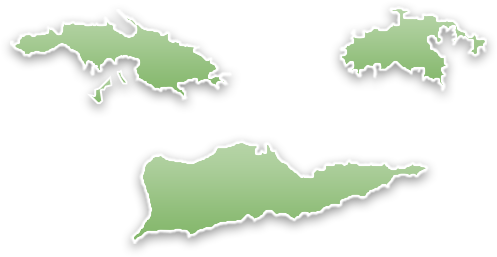 Kerstin has Multiple Listing Service credentials on all three islands, meaning she can help you buy or sell property on St. Thomas, St. John and St. Croix. Before becoming a Realtor and broker, Kerstin earned a bachelor’s degree in aviation management and spent several years working for American Airlines. She also served as customer service manager for a 33-store retail jewelry franchise. Kerstin’s husband is a real estate attorney who also works closely with Sea Glass Properties. Their children attend Kerstin’s alma mater, Antilles School, a toddler through grade 12 college preparatory school. When Kerstin’s not selling property, you might catch a glimpse of her on "Girls' Day Out" her 22-foot Mako, or her stand up paddle board. Life in the Virgin Islands is one of beauty, opportunity and great people. Let Kerstin introduce you to all three!